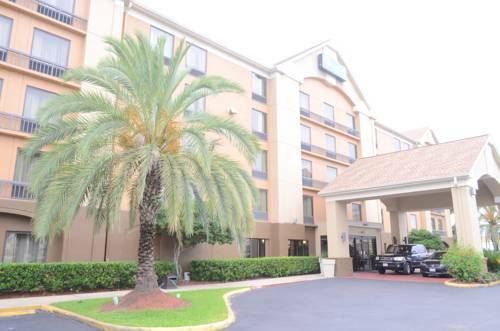 Behind every great day is a great night at the Comfort Inn and Suites Southwest FWY at Westpark hotel in Houston, TX. Our smoke-free hotel is between Beltway 8 West and the 610 West near the Houston Museum of Natural Science, Minute Maid Park, Hermann Park and the Houston Zoo. Nearby businesses include Halliburton, Memorial Herman Hospital and Md Anderson Hospital to name a few. Take advantage of our free hot breakfast, free WiFi, free parking, fitness center, business center and our seasonal outdoor pool. Rooms include a 32-inch flat-screen TV, desk and hair dryer. Also, earn rewards including free nights and gift cards with our Choice Privileges Rewards program. Our Hotel is 100% smoke free facility. 100.00 USD Deposit required with all cash payments at the time of check-in.